Truck driver fatigue is a leading cause of trucking accidents. A trucker who is overtired can be just as dangerous as a drunk driver. Obtaining on-duty logs and other evidence to show the trucker who caused your crash was negligent or in violation of maximum drive-time rules, can have a significant impact on the outcome of your case. Associates and Bruce L. Schreiner, Attorneys for the Injured, has been litigating personal injury and wrongful death cases in Southwest Florida since 1971. With more than four decades of experience helping injury victims, we have the legal knowledge to handle the most complex cases. If you or a loved one is injured, call 800-646-1210 today to schedule a free consultation at one of our offices in Fort Myers, Naples, Cape Coral or Port Charlotte. In 2012, drowsy driving was a cause of more than 12 percent of the 129,120 crashes involving large trucks or buses according to the Federal Motor Carrier Safety Administration (FMCSA) . The Centers for Disease Control and Prevention reports that drowsiness makes drivers less attentive, slows reaction time and impacts decision-making abilities. In fact a person who is awake for 24 hours has the equivalent of a blood-alcohol content of .10, which is above the .08 legal limit and well above the .04 limit in place for commercial drivers. The FMCSA has rules to prevent drowsy driving or fatigued operation of trucks. Drivers are allowed to drive for only 11 hours per day. They must complete their 11 hours of driving within 14 hours of the start of their shift. There is a weekly limit as well, with drivers allowed to drive for a maximum of 60 hours over seven days or 70 hours over eight days. After this time, drivers must take a 34-hour consecutive rest break that includes two periods from 1:00 a.m. to 5:00 a.m. Compliance with drowsy driving rules is enforced by requiring truckers to keep logbooks of time on duty. Some trucking companies also have electronic monitoring systems. Unfortunately, compliance isn’t absolute and truckers running with forged logbooks has been a problem for decades. Even a trucker who follows guidelines could still be tired after a long day of driving eight, nine or 10 hours. These tired truckers are more likely to cause a crash that injures you or that results in the death of a loved one. If a truck driver causes a collision through fatigue, you may be able to prove he was breaking drive time rules by obtaining on-duty logs and driving records. If the driver broke the rules, this creates the presumption of negligence and can help make your trucking accident claim. Your law firm should also interview witnesses, obtain public records and consult with experts who provide testimony. Associates and Bruce L. Schreiner, Attorneys for the Injured helps victims of commercial trucking collisions to prove their case and obtain compensation for medical costs, lost income, pain and suffering, emotional distress and other economic and non-financial losses. Call today at 800-646-1210 to schedule a free consultation. 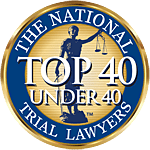 We are a statewide law practice representing injured persons throughout the entire State of Florida, including, but not limited to: Fort Myers, Cape Coral, Estero, Bonita Springs, Lehigh Acres, Fort Myers Beach, Sanibel, Naples, Port Charlotte, Punta Gorda, Immokalee, Venice, Sarasota, Bradenton, Labelle, Arcadia, Sebring, the Florida Keys, Miami-Dade County, Fort Lauderdale, Broward County, Orlando, Tampa, Hillsborough County, Jacksonville, Duval County, Gainesville, Ocala, Tallahassee, West Palm Beach, St. Petersburg, Pensacola, and Panama City.